Our Portable Loop Shelf is an ideal storage unit and charging location for the Portable Loop. 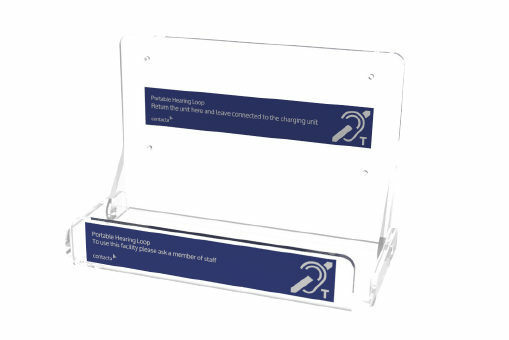 This is achieved by simply routing the power supply through a cut-out in the base of the shelf and connecting it to the Portable Loop. The shelf is supplied with wall fixings.